Hair loss has become one of the issue, which has been a cause of concern as far as appearance, personality and psychology of the person is in question. A signification portion of population is having the problem irrespective of the gender. Earlier it was known as a problem affecting strictly the male population but females is also affected in significant number and it cause psychological trauma more in females. Apart from androgenic alopecia which is a common cause of baldness there are other medical causes like autoimmune disorders, endocrine or hormonal disorders, trauma or scar, traction alopecia, nutritional deficiencies, chemotherapy, radiotherapy to mention a few. Once considered as the sign of ageing, hair loss is now occurring in many age groups across the spectrum. The involvement of younger age group in addition to genetic predisposition can be attributed to stress, crash dieting, environmental pollution, smoking, unhealthy hair care habits. Conservative as well as surgical options for treatment of hair loss are available depending on the stage of hair loss. In androgenic alopecia hair transplant offers a permanent solution to the problem if one is the candidate for it. In view of rising problem hair transplant in Delhi has picked up a lot due to many advantages and the affordability, which the centers in Delhi provide without compromising the quality. Stage of the baldness or hair loss. Number of grafts or hair follicles to be transplanted to the bald area. Type of hair transplant – FUE or FUT. Total sessions require for the procedure – single day or multiple. Whether the procedure is scalp to scalp or body hair transplant or facial hair transplant. Is hair transplant the only option? It is very common question that may arise in mind of any person who is going for the procedure. The treatment options depend on the underlying cause of the problem, stage of hair loss. Surgical treatment is recommended if the patient is a suitable candidate for hair transplant. Results of hair transplant are really fruitful if experience doctor and the team do the procedure. Identifying and treating the underlying cause is the main stay of the management of any disease. 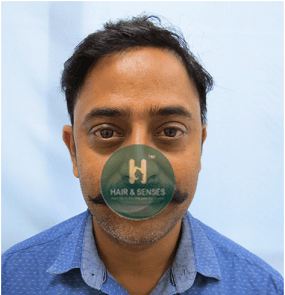 We at Hair & Senses follow a stepwise comprehensive approach based on detailed history and examination to reach the cause of the problem and provide appropriate solution, which is evident by our results and more so by the smile on faces of hundreds of our patients. Hair & Senses is one of the leading and fastest growing hair transplant clinic providing services of hair transplant across the spectrum like Scalp to scalp, body to scalp, facial hair transplant and other advance techniques.It is known for quality treatment and best possible results without undue expensiveness. 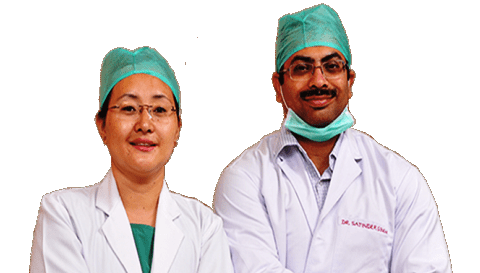 The clinic has successfully treated thousand of patients from all over the globe. As we understand that in addition to provide treatment of international standards, one of the concerns has been the cost effectiveness. With the thought of providing appropriate solution of the problem at affordable cost without undue expensiveness, Hair & Senses, clinic for hair transplant in Delhi was started and has been providing its services to people. 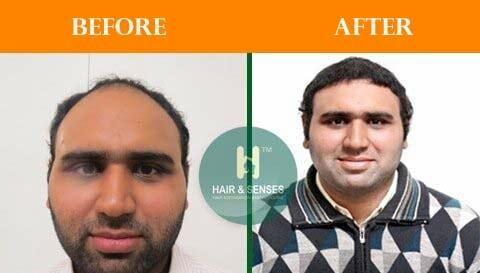 Hair Transplant in Delhi is not going to cut your pockets if you are at Hair & Senses. 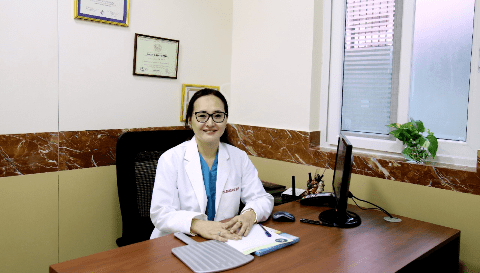 We provide you cost effective treatment options and comfort of discussing the case properly with the expert (consultation session) at free of cost before the procedure. Hair & Senses is the best hair transplant clinic in Delhi, NCR having great experience of delivering better & assured results. Hair Transplant Surgery is done by experienced technicians & specialists here. The procedure for hair transplantation that involves transplanting individual hair follicles from donor site to bald area known as the 'recipient site'. The donor area commonly used is back of scalp as these follicles are resistant to the effect of DHT, other areas from where follicles can be harvested are beard, upper chest, upper back, forearm, armpit, legs. FUE Hair Transplant is a process in which hair follicles from the donor area (generally from the back and side of the scalp) is extracted and is placed on the balding area of the scalp (frontal, mid frontal and the crown) of the patient itself. FUHT Hair Transplant: Follicular Unit Transplantation (FUT) is a procedure where hair follicle is transplanted from the permanent hair bearing zone at the back and sides of the scalp to the bald areas of the scalp. This term essentially means using the hairs from the parts of body other than the scalp and transplanting them on the scalp/head. Hairs most commonly are taken from beard followed by upper chest, upper back, abdomen, armpits, forearm, legs. Hair transplant, if not performed with surgical precision can go horribly wrong. It can leave lasting impact on the person’s quality of life. The reason that some hair tranplant surgeries go wrong is the use of outdated methods like plug-procedures, mini-grafts or scalp reductions. Hair loss is more commonly seen on the scalp. It becomes more evident when it occurs on the face as it becomes more visible. This may be patchy hair loss to near total hair loss Facial hairs i.e. beard and moustache are often seen as mark of manliness so the facial hair loss may result in low self esteem. 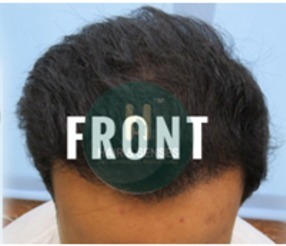 The patient was 32 Year aged sales professional having hair loss on the front area and crown area. He used many medications to control the hair fall but gained no permanent result. 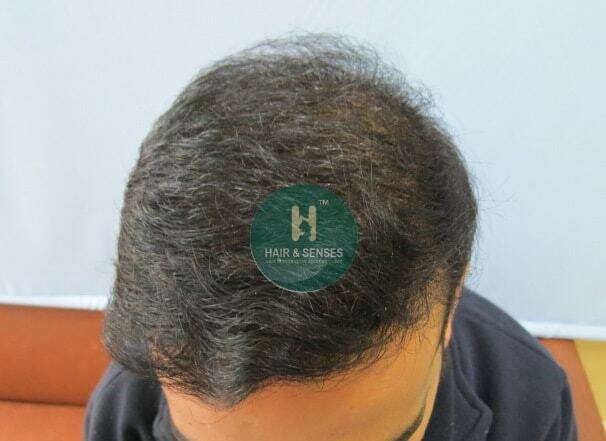 The patient was 27 Year aged professional having hair loss on the front and crown area. He used many medications to control the hair fall but gained no permanent result. Mr. Girish Chawdhary shared his experience after 8 months of the surgery. Complete growth of the transplanted hair can be seen. He is completely satisfied with the final results.